The new inlays combine NXP’s cost-optimized NTAG 210µ chip with an antenna, epoxy glue and the choice of PET film or adhesive backing, enabling them to be directly embedded in or converted into finished products. The five cent per unit pricing is available when ordering a minimum of 20,000 units of Identiv’s 25mm diameter dry inlay design, for a total cost of US$1,000. 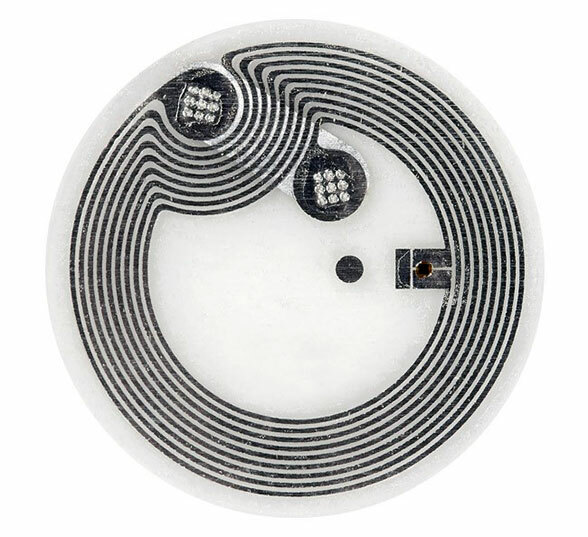 “Identiv’s new ultra-low-cost NFC tags are perfectly suited to companies looking to deploy quality, off-the-shelf connectivity,” says Alexander Rensink, NXP’s business segment manager for smart products. “Compatible with any Android or Apple iOS 11 and up NFC-enabled device, the inlay is ideal for enabling NFC use cases including internet of things and customer engagement applications,” Identiv adds. “Ideal applications for Identiv’s inlay portfolio include the internet of things, NFC smart posters and billboards, libraries, event and transportation ticketing, automotive and chemical industries, logistics and supply chain, asset management, pharmaceuticals and healthcare, fast-moving consumer goods, beauty care, spirits, device authentication and counterfeit protection, electronic games, event management, wearable technology, and customer loyalty programs,” the company says.